During this years Global Enterprise Week I finally had a chance to catch-up with Guy Jeremiah one of our Success Stories. Although his collapsible bottle was becoming a great success in the UK under the brand Aquitina, Guy was advised he should change its name before taking on the United States market. Unfortunately Aquatina is quite similar to Aquafina, a brand of bottled water owned by PepsiCo. Naturally Guy’s advisor was concerned that the cost of going through the courts would bankrupt the business, even though he would win the case. So a new name was needed for the brand, and the advice was to use a made-up word. By definition, no one would be able to claim ‘prior-art‘ with a newly invented name. After much experimenting Guy and his team came up with the name ohyo (pronounced yoyo). We had a chat about the importance of the Ronseal (says what it does on the tin) approach to a name, versus the advantages of using anonymous name like ohyo. My feeling is that a descriptive name is great when you are starting out, such as Man and Transit Van. But you never really know where your business will go, or how diversified it will become. In which case your expressive name can become unhelpful. For instance Carphone Warehouse, is no longer a warehouse and doesn’t sell phones for cars. In the case of Apple Computer, the name was effectively pulled out of a hat the day before it was needed for company registration. Its generic nature meant that once the Computer bit was dropped, the company was free to make anything they liked and stick an Apple logo on it. According to Walter Isaacson’s recent biography of Steve Jobs, “I was on one of my fruitarian diets,” he explained. “I had just come back from the apple farm. It sounded fun, spirited, and not intimidating. Apple took the edge off the word ‘computer.’ Plus, it would get us ahead of Atari in the phone book.” He told Wozniak that if a better name did not hit them by the next afternoon, they would just stick with Apple. And they did. 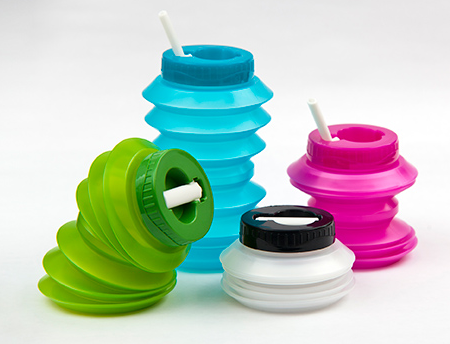 You may notice a similar looking collapsible bottle at the checkout of you local Marks & Spencer branch, as ohyo have licensed their product to M&S. This entry was posted in branding, business startups, Design, Dragons Den, Enterprise Week, gadgets, going green, marketing, retail, Trademarks on 24 November 2012 by ninfield. Many thanks to my colleagues Michael Pattinson and Gail Mitchell for reporting on this successful event. Last Wednesday evening the British Library hosted the latest in the series of Inspiring Entrepreneurs events called Going for Gold which featured an audience with the Business & IP Centre’s new entrepreneur in residence Stephen Fear. Stephen has 50 years of business experience and is involved in our new Innovating for Growth Programme which nurtures existing businesses and helps them grow over a 12 month period. He was joined on stage by two of the participants in the programme, Mandy Haberman, inventor of the Anywayup Cup and Cate Trotter, Head of Trends at Insider Trends. Following a brief introduction from Frances Brindle, Head of Marketing at the British Library, chair Matthew Rock started proceedings by asking Stephen about the origins of his entrepreneurial spirit. He talked candidly about his early childhood spoke about his first business venture as a teenager which involved sourcing the formula for an oven cleaning solution from the US and enlisting the help of friends on the estate where he grew up to make up the product. He famously used a telephone box as his office and managed to charm the telephone operator to pose as his secretary. After much deliberation about which job title to award himself on his business cards, he finally decided that trainee salesman was more appropriate than president or chairman considering he was so young, he set out to make his first sale. After being ejected by the receptionist at Hovis he managed to convince one of the managers who was outside having a cigarette to see a demonstration of the product. He was duly impressed and placed an order. How did he convince him? He told him that he would lose his job if he didn’t get to demonstrate it to someone. There were several lessons to the story. Always believe in your product and make sure it works; use whatever ‘guerrilla’ tactics you can to market the product; and make sure you approach the decision makers, don’t waste your time trying to sell to the receptionist. Stephen proved to be a very engaging speaker, down-to-earth and keen to share his entrepreneurial know-how with the audience. Mandy Haberman joined Stephen on stage and spoke about the initial success of her Anywayup cup. She has some new products in the pipeline which she is going to manufacture herself with the help of funding including a baby feeder which emulates breast feeding. After talking about how difficult it was to secure funding Stephen told the audience that businesses will always face such challenges but it’s how you react to those challenges that matters. Matthew Rock asked him if he had any tips for businesses looking for funding. He recommended the British Bankers Association’s Business Finance for You website as a good starting point. 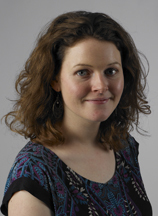 Cate Trotter from Insider Trends was up next. 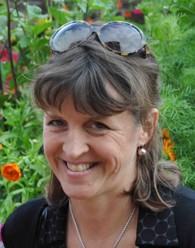 Cate runs a trend spotting service which includes trend tours and talks for clients ranging from large corporations like Marks & Spencer to SMEs. She is currently expanding from being a sole trader. Stephen made the point that this can be a dangerous time as you need to entrust parts of the business to other people who may not share your passion and commitment. Stephen urged the audience to spend carefully when you are building up a business and to avoid what he called unnecessary fixed overheads such as an expensive office space or a company car. If you put a set of BMW keys on the table people assume you have a BMW, so just get a set of keys! Mandy pointed out that you can mock up packaging to save money. Stephen came up with a very useful tip called “tacking on.” Some packaging companies may be prepared to package your products cheaply at the end of a run for another client, especially if they think you might be putting more business their way in the future. Matthew Rock thanked the guests for their insight and then asked the audience if they had any questions. Somebody asked if having a limited company was preferable to operating as a sole trader. Stephen felt that aside from the issue of liability, the legal status of the business was not that important because it was the individuals involved that were important. Someone else asked for advice about trading overseas. Pick an English speaking country or at least a country where you are familiar with the language and culture, said Stephen. Mandy suggested using international distributors who know the market and have the infrastructure in place already. Nick Nair at the back of the auditorium told Stephen that if he didn’t use this opportunity to give him a bottle of his product, Flavour Dash, his boss, (ie his wife) would give him the sack. To applause from the audience, he ran down the steps and presented Stephen with a free sample, employing the very same guerilla marketing tactics that Stephen had recommended earlier in the evening. This entry was posted in Copyright, Enterprise Week, Evolving English, growing business, Success Stories, Uncategorized on 28 May 2012 by ninfield. On Friday we ran the very first of our ‘Make it, Sell it’ events, designed to help jewellery and crafts makers to commercialise their designs. Around 90 makers came to the Business & IP Centre networking area during the day. In a ‘speed dating’ style format, they got to meet some great names from brands such as Etsy, Real Business, Tatty Devine, Folksy, Artquest, the Design Trust and Wolf & Badger. 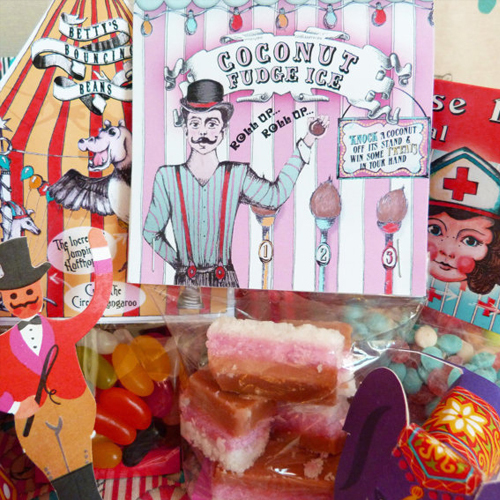 Camilla Smith-Westergaard from Butterscotch & Beesting has designed an amazing range of circus and magic inspired confectionery. She has created a really distinct and strong brand through her own illustrations. 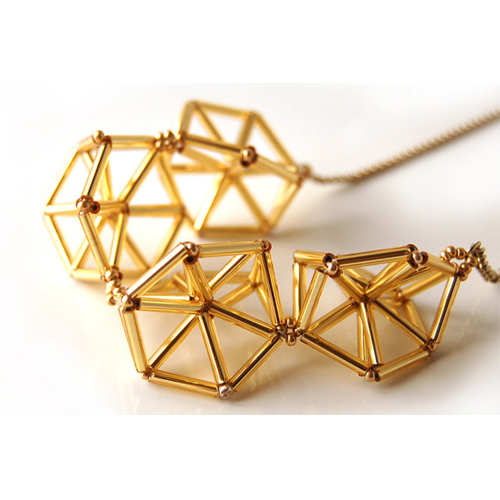 Laura Brannon produces unusual, fine-art style pieces of jewellery under the theme of ‘Dead lights’. She reuses household materials from shower heads to rubber and foam. 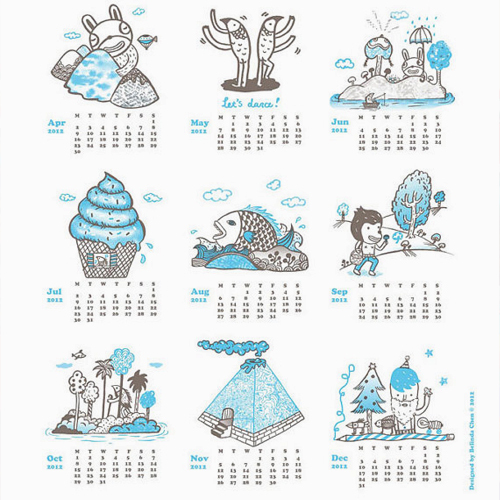 Belinda from Bels Art World produces fantastic illustrations in the form of calendars, bags, cards and zines. This entry was posted in art, British Library, business plans, business startups, Enterprise Week, networking on 23 November 2011 by ninfield. 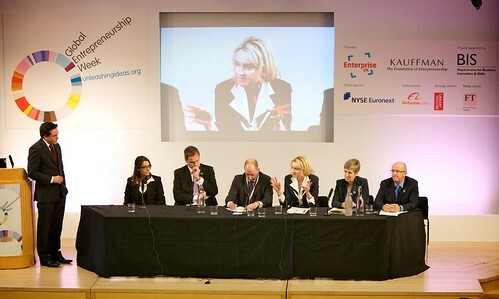 We have had some excellent events during Global Entrepreneurship Weeks over the past few years (Global Entrepreneurship Week 2010). And it looks like this year will be just as good. It will run from 14 to 18 November, and includes Speed mentoring sessions and Question Time for Entrepreneurs. Each day we’ll be running informal half-day networking sessions. The Centre will be full of business experts and successful entrepreneurs who you can talk with informally and get advice. Friday – Make It, Sell It! The speed mentoring sessions run from 10.00am – 13.00pm and 14.00pm – 17.00pm and are free. Our special evening event will give you the opportunity to question some of the most successful and influential people in British business today. Speakers include Emma Bridgewater, Lara Morgan, Vernon W. Hill II and former Apprentice winner Tim Campbell. A networking reception will follow the event. Join us on stand 412 at the Business Startup Show in Earls Court on Thursday 17 and Friday 18 November! Along with our partners, Business Plan Services, Trademark Direct and Grow, members of the Business & IP Centre team will be on hand to explain how we can help kick-start your business. 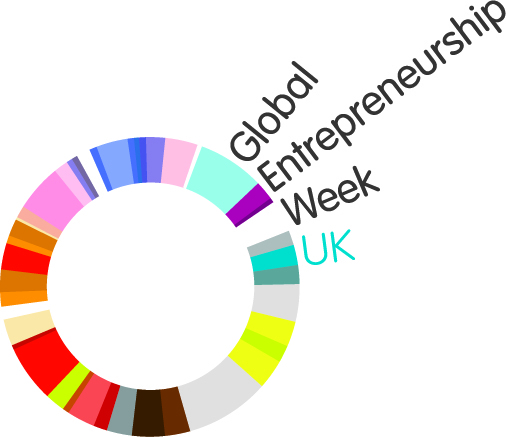 Find out more about Global Entrepreneurship Week. The essentials you’ll need to get going in business – finance, market research and business planning. Meet a whole host of female entrepreneurs, from the big names to women that are just getting started. Find out how to improve your brand and marketing strategy on the Marketing Maestros day in Global Entrepreneurship Week. Meet craft experts to help you grow and develop your business. This entry was posted in British Library, business information, business startups, Enterprise Week, marketing, networking on 24 October 2011 by ninfield. We are now coming towards the end of Global Entrepreneurship Week 2010, and for the Business & IP Centre it has been a great success. Each day we have been running informal half-day networking sessions. The Centre has been full of business experts and successful entrepreneurs advising aspiring entrepreneurs. Our two special evening events, which I attended were also excellent. On Tuesday our Creative Networking Evening provided an opportunity to network with other entrepreneurs and advisors. Last night’s Question Time for Entrepreneurs offered inspiring speakers, including Deborah Meaden (Dragon’s Den), Brent Hoberman (lastminute.com and mydeco.com) and Cath Kidston. There has been lots of twitter activity about us over the last few days, and Dan Martin’s live blog led to lots of other tweeters getting involved. This entry was posted in British Library, business information, business startups, Enterprise Week, entrepreneurship, Inspiring Entrepreneurs on 18 November 2010 by ninfield. 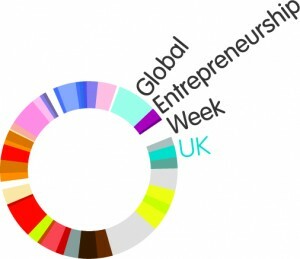 I’m still catching up on my notes from some of the events I attended during a manic Global Entrepreneurship Week (GEW) at The British Library. Although somewhat sexist in tone, He stole my idea – what can I do about it? really caught my attention. It was presented by Denise Nurse, the co-founder of Halebury one of our partners providing legal advice. They aim to make law more accessible to everyone, in particular start-ups and medium sized companies. Ideas are not protected until you do something with it. It has to turned into something tangible. Often compared to physical property. You wouldn’t buy a house without research and professional advice. Once purchased you need to maintain and develop it in order to protect or increase its value. – Copyright – automatically covers any creative output, but you need to prove you did it first. – Trademarks – your unique identifier for you business. Can be registered for ten years with the Intellectual Property Office or the EU for a Community Mark. Start with business name, might want to include your strap line. Need to develop a strategy, but budgetary restrictions are often a factor. If you have an established brand which can not be registered as it is descriptive you can use the ‘passing off’ laws to gain some protection. – Patents – a long, complicated and expensive process. Covers an inventive process. Must be completely new and secret, but if successful gives you a monopoly for 20 years. Can be licensed to others. – Designs – often overlooked, but relatively cheap and easy to register. Covers the shape of something and how it fits with something else. Does not have to be registered, but this gives more protection. – Database rights – relate to the organisation of information. Protection from staff walking away with customer lists etc. – Confidential information – take time to ensure you have the correct confidentiality agreement. How long will it need to last? Who does it cover? Be careful using standard agreements found on the internet. 2. How is IP Infringed? 3. What is the Damage? Music industry claims 20% lost income due to piracy. Money – loss of IP eats into your income. Dilution of rights – e.g. by allowing its use to become generic you lose the value of your rights such as a trade mark. Weakened commercial position – will have an impact on potential partners, licence agreements. Mark and / or register – e.g. use copyright symbol. Insure – a growing field, especially in the field of products and patenting. Can cover legal fees to attack or defend from attack. Can help when going for investment. Monitor use – the IPO do not act as IP police. You have to check. Not difficult these days with the internet and search engines. Some trade mark attorneys offer this service. Take swift action – very important not to hang about, but don’t act rashly, get legal advice. Follow through – do you have the resources to follow up on original letter? Nine times out ten the initial letter and demands within it will work. In some cases your trade association can provide support. Make an example of someone who is blatantly abusing your IP. Get warranties from third parties you are working with. 5. What if someone is infringing your IP? Gather evidence – such as witness statements. Get insurance – can be bought after the event. Call a lawyer – better if you already have a relationship and they know you IP situation. Notify the authorities – some acts are illegal in addition to civil. E.g. counterfeiting goods. Settlement agreement – you may be able to work out a licensing deal. Dispute ownership or title – prove the IP is yours. E.g. in the film world need to ensure all aspects are covered. License to use – check the small print of original documentation. Lack of knowledge – if your work is not widely available it is possible the infringers have not copied your work, although they will still be in breach of your IP. Rights have expired or have been exhausted – can be a geographical factor. Jurisdiction – disputes may be taking place in other locations. Acquiescence – you haven’t used your registered trade mark for too long. 7. What will you win? Account for profits – example of Brats dolls dispute with Matel – $100 damages. Monitor the market place – be aware of IP use and trends in your market area. Build an aggressive reputation – lessons learnt from working for Rupert Murdoch. Publicising your success – e.g. when you make an example of an infringer. Research and take advice – sometimes you will need professional advice, build this into your plan. Have a strategy – always worth going through your IP assets even at a late stage. This entry was posted in business startups, copyright, Enterprise Week, IP issues on 21 November 2009 by ninfield. Not just about environmental impacts, includes social and economic. Figures from One World – currently consume the equivalent of 1.3 planets to provide the resource we use and absorb our waste. At current trends UN predicts 2030 will require equivalent of 2 earths. A linked set of resources and processes that begins with the sourcing of raw materials and extends through to delivery of end items to the consumer. Cradle to grave for products. Examples of cotton production in India with negative impact on the soil and water supply. Intensive tomato production in southern Portugal. no motivation other than complying with the law. Consumers often go for cheapest option rather than sustainable products. Short term focus of government, business and consumers – relates to 12 month business budgeting – government departments have individual targets which weren’t linked up. Identify your supply chain and at which point you sit. Also the suppliers of your suppliers. Make sustainability part of your organisational strategy – must have top level buy-in – need to develop KPI’s (Key Performance Indicators) – develop an action plan for delivery. Implement practical measures suited to your organisation – SMART (specific, measurable, attainable, relevant, timely). Driven from the top, but must involve everyone. – ISO 9001 help and support which can save consultants fees. The workshop ended first with the quote below from Mahatma Gandhi, and then a screening of the Story of Stuff (a 20-minute animation of the consumerist society, narrated by Anne Leonard). This entry was posted in British Library, business information, business startups, Enterprise Week, going green, social enterprise on 20 November 2009 by ninfield. I spent Monday morning at the launch of GEW from the comfort of The British Library conference centre. The event was well chaired by Simon Jack from the BBC, and included some light-hearted banter between him and Peter Jones (of BBC’s Dragon’s Den fame). Peter persuaded Simon to spend a day with him in order to experience the world of the entrepreneur from the inside. He also got him to agree to give a plug for GEW one morning during the BBC Breakfast Show this week, so watch this space. 1. Our Chief Executive Lynne Brindley gave the welcome speech and included the intriguing concept that The British Library has more good ideas inside it than any other building in the world. I think it is a line I can see myself using in future. 2. The opening words were from Miles Templeman Director General at the Institute of Directors. Who felt that talent is not enough to ensure success in business – inspiration is necessary to start things off. But what unless potential talent is developed and nurtured business survival and growth is unlikely. 3. Next we watched a short video from Peter Mandelson, Secretary of State for Business, Innovation and Skills. 4. Then we had a fascinating panel session with Carl Schramm the Chief Executive of the Kauffman Foundation and Jim O’Neill the Head of Global Economic Research at Goldman Sachs. Their research shows that entrepreneurship has been the key to recovery of the last seven economic declines. In recessions economists and governments turn back to Keynesian economics and decide that government intervention is the key to economic recovery. Schramm believes government industrial policy is antithetical to entrepreneurship. Instead what we need is government policy and pragmatic coaching skills to support creation of new entrepreneurs. He believes there is a sea-change occurring, so we now see enterprise as the key to economic growth, and gave the economies of China and India as proof of this. Libraries and support – Andrew Carnegie created the US public library system – the Kauffman Foundation are looking very closely at libraries as incubators for business. 5. O’Neill who’s claim to fame is having coined the term BRIC nations (Brazil, India and China), stated that entrepreneurship is the future of our and the world economy. He thought it unfortunate that economists have proved why they are known at the miserable profession. The consensus forecast for world economy is 3.7%, down from 5% over the last five years. This is due to continued progress in BRIC economies. The assumption that our recession is reflected elsewhere is not true. Economically speaking China has created the equivalent of 2 UK’s in the last eight years. Brazil is due to overtake Italy in terms of GDP (gross domestic product). Twice as many cars will be sold in China this year than the United States. The expansion of BRIC economies provides opportunities for British entrepreneurs. 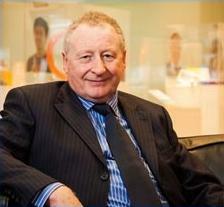 He gave example of UK football league as an example of world business success. The British know how to invent, but not how to market themselves. What is the secret to growing economies entrepreneurship success. Awareness that they have been given the chance to become wealthy. People in Britain like to be regarded as creative, but following it through to economic wealth is a cultural issue. Over half of the US fasted growing 500 companies never wrote a business plan. Business academies can’t spark entrepreneurial attitudes, although they can help with best practice. 7. 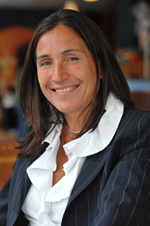 Video from Karen Kanaan the Global Entrepreneurship Week host in Brazil. Their goal was for 1% of the population to become involved (2 million people), but actually ended up with 4.5 million people registered. Matt Brittin the Managing the Director of Google UK. Google perspective – The Internet allows business to be global. The world has gone digital, so there is a big opportunity for entrepreneurs. Example of purely gadgets digital business. Example of dustbag.co.uk, used internet searching keyword targeting to bring their service to their intention. David Wei the Chief Executive of Alibaba.com, China’s biggest internet business. Entrepreneurship cannot be educated, trained or supported by Government, it can be inspired. We need to take away comfortable safety net to create a culture of entrepreneurship. Who is the new idol for entrepreneurship, why do we still see a video of Richard Branson twenty years on. PowerPoint leaves your power and point on the screen. You end up with no power and no point. The internet is the equivalent of the railways and highways of the last century. Started an illegal tuck-shop at school. Elected as a school governor at 15, but was still truanting from school. Failed her A –levels, so went back to college to get engineering qualifications, put learner plates on a motorbike and drove to Universities to get places. Joined her dad in business who left after 18 days and learnt how to survive in business. Advice – find your own path, find a mentor, every day find four ways to market your business. Intro from Lord Davies, Minister of State for Trade, Investment and Small Business. 4.8 million SME’s – we are a nation of entrepreneurs – appealed to the press to celebrate our success, not to concentrate on failures. 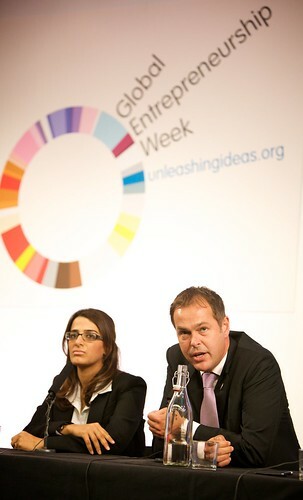 Peter Jones wants to introduce entrepreneurship into every school in the UK. He believes entrepreneurship can be taught. 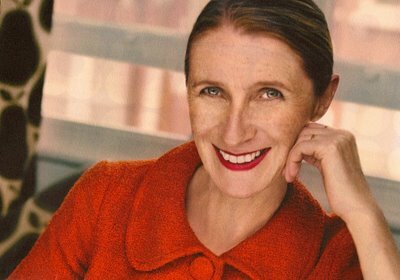 Julie Meyer – entrepreneur country . net – We need to become a nation of believers (not a religious belief). A surprising lack given this country produced Winston Churchill. Business success is a like a drug, once successful they will want to help others build their success. 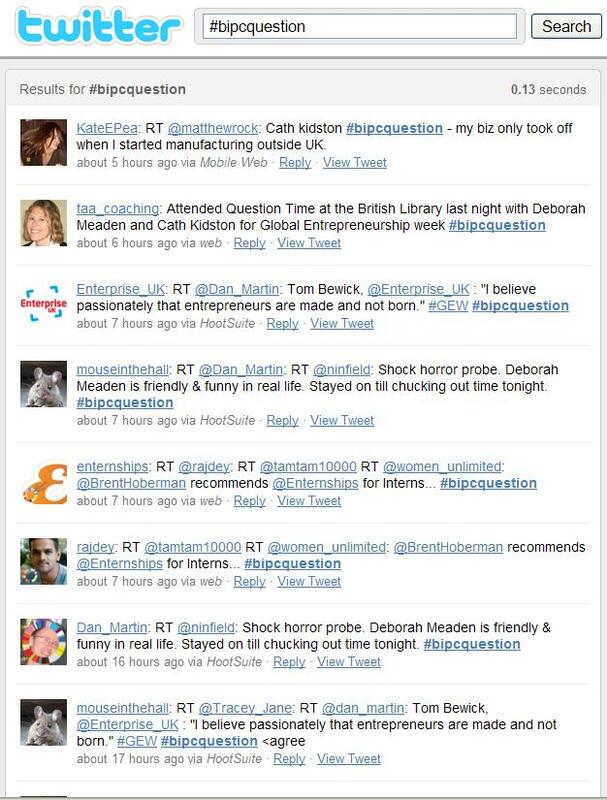 This entry was posted in British Library, business information, business startups, Enterprise Week, entrepreneurship, Inspiring Entrepreneurs on 18 November 2009 by ninfield.